Let’s get a fix of Andrea and Colette, because why not. As a reminder, Dix pour cent (Call My Agent!) 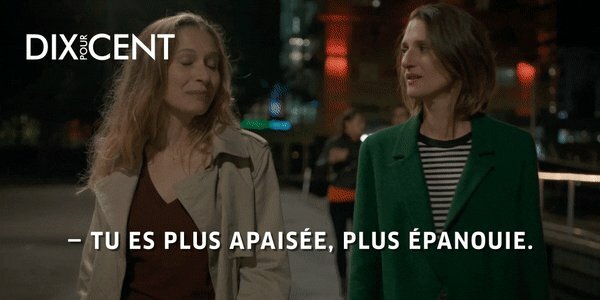 is a french TV series created by Fanny Herrero & Dominique Besnehard. At Paris talent firm, A.S.K, agents scramble to keep their star clients happy and their business afloat. Three agents, Mathias, Gabriel and Andréa, juggle one situation to another in circumstances that blend their personal and professional lives. Colette Brancillon was first seen as a woman in a lesbian dating app chatting with one of the lead characters, Andrea Martel. Andrea rejected her because Colette was looking for a long term relationship, while she wanted a one night stand. 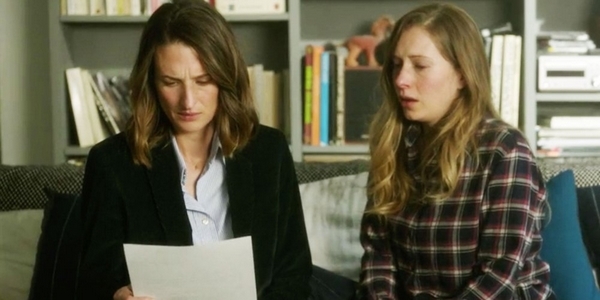 Colette appeared the following episode as an agent sent to do the tax audit for talent agency ASK, Andrea’s workplace. Andrea started to flirt with Colette who thought it was only because she wanted a positive review for the agency. Andrea succeeded to convince Colette that she was genuinely interested in her and the two of them started a relationship… I don’t want to mention the rest.